Another personal creation. 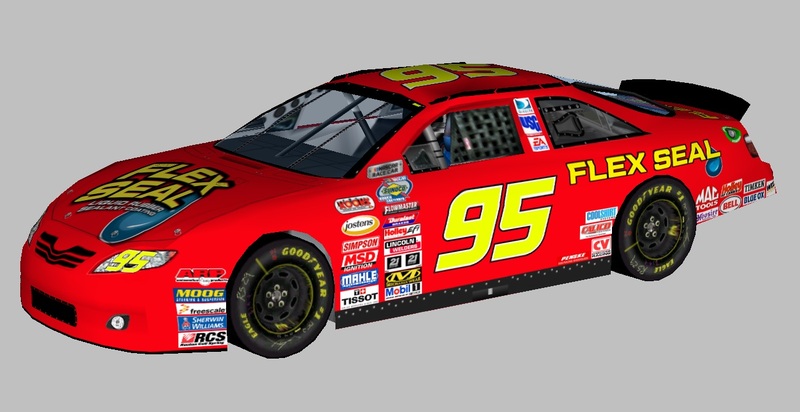 This time, I realized a Flex Seal's scheme, with the red color, into a 2011 Toyota Camry's template. Saying that this car is so sweet, is little. I think that this is one of the best works that I've ever realized. The car hasn't got name, and has the BASE Ratings. This is the second and the last car's reveal, of the carset that I'm painting for NR2002. I remember that this car and the #0 NOS Energy Chevy's car will be included into my coming 43 cars' carset. Credits: Rob Cage for contingencies and template, CNF for the numbers, Sim Racing Design, Rubbins Racin' and Stunod Racing for contingencies, and Google for logos. Enjoy!!! Very nice car. Looking forward to the set!